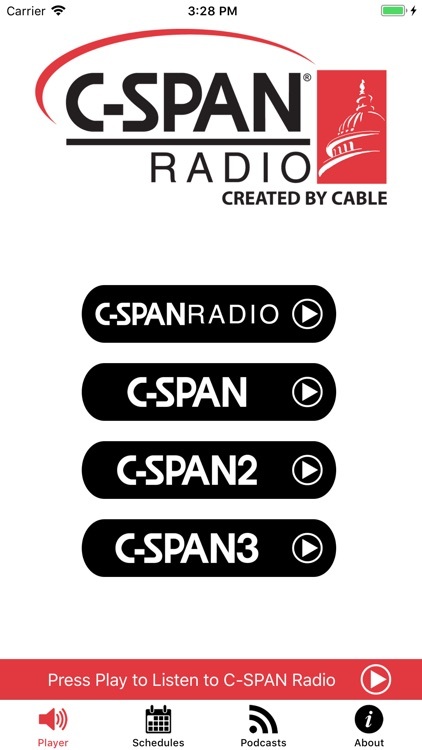 Listen to the network that covers Washington like no other. 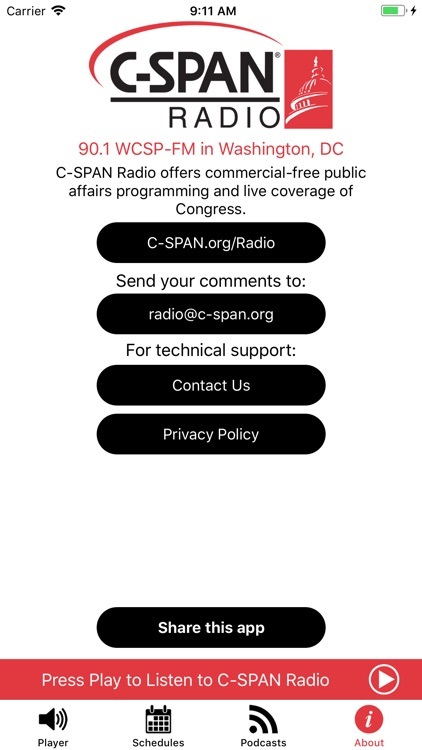 The C-SPAN Radio app delivers live audio streams of commercial-free public affairs programming (C-SPAN Radio, C-SPAN, C-SPAN2 and C-SPAN3) and audio podcasts of some of our regularly scheduled programs around the clock, wherever you are. 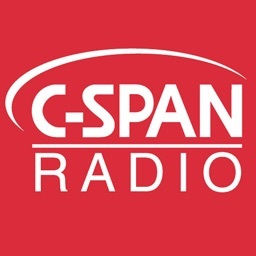 Hear Congressional hearings and key speeches from national and world leaders. 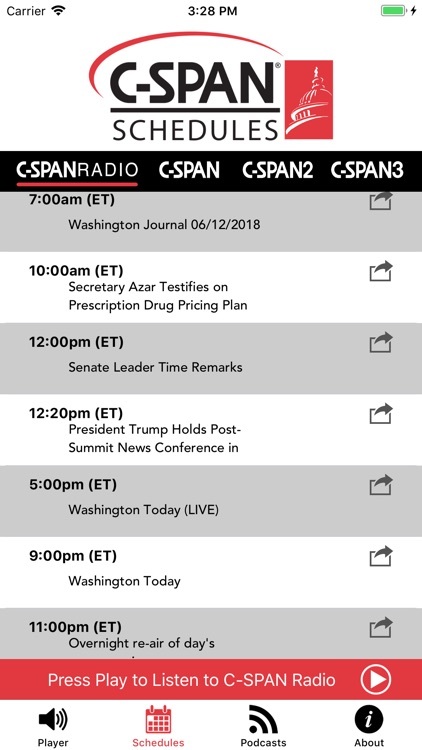 Our daily Washington Journal call-in program, our recap of the stories of the day on Washington Today and the Sunday network talk programs. 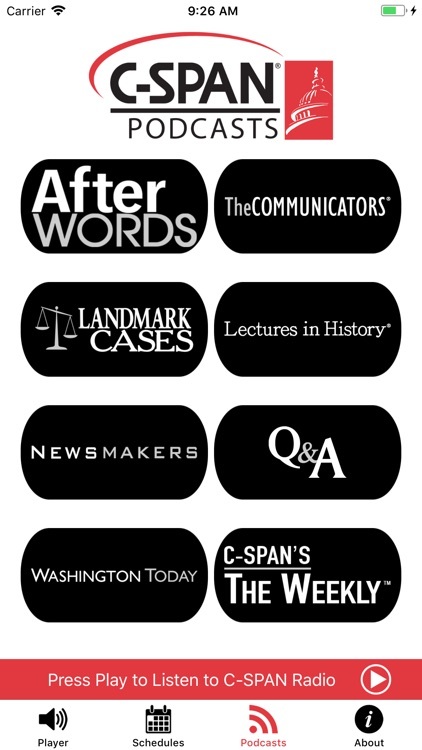 Authors on Book TV and rare archival audio from historical leaders and events on American History TV. 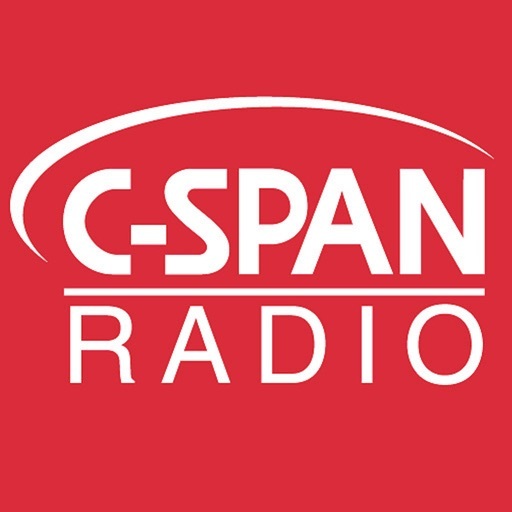 C-SPAN Radio 90.1 FM in the Washington area and on XM Channel 455.